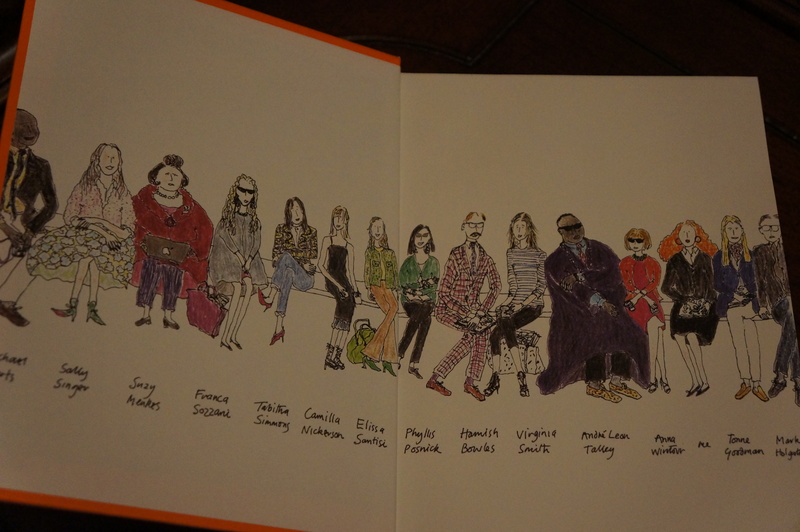 I just finished one of my Christmas presents – Grace: A Memoir, by Grace Coddington, and it was delightful. Grace is the creative director at American Vogue and gives the reader an inside look into fashion, fashion photography, life at Vogue – British and American. In addition to having exceptionally large type (somewhere around point size 16, if I had to guess), the book came complete with lovely illustrations by Grace. She claims to have read only 2 books in her lifetime without pictures in them, so I don’t mind her sharing her preferred medium of choice with me. Through reading about who she has worked with – and it’s everyone, I learned a great deal about photographers I only vaguely recognized before, if at all. So when I saw this month’s Hollywood Issue of Vanity Fair with “photographed by Bruce Weber” splashed on the cover, I had a moment in CVS of “Oh! I know him!” Of course, I don’t know him – but I did enjoy reading about him in Grace. The book is different from many other memoirs I have read where the emotion and how this thing affected this part of me – in the deepest way, was missing. She suddenly mentions a terrible car wreck that sidelined her modeling career for a time and casually throws in later that when in another car crash, although more minor, she lost a baby and was never ever to conceive again. It seems there was plenty of untapped emotion to explore, but I suppose memoirs can be lighter and don’t always have to be gut wrenching and evocative, or something. 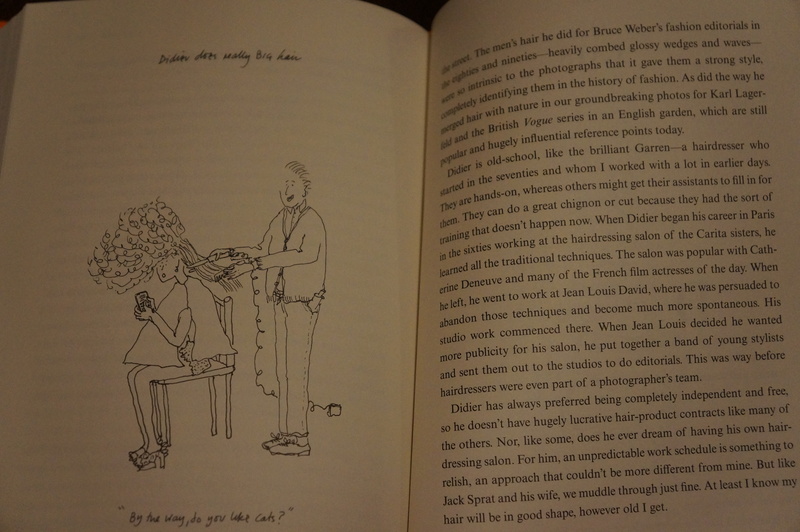 And since the book is interesting and delves into a world I knew little of the inner workings, and it also has photos, illustrations and a large font size… I would recommend. So let me know if you want to borrow it – this is one an e-reader simply wouldn’t do justice.